Create interesting backgrounds using resist effects with StazOn Studio Glaze. It’s quick and easy and the effect is amazing. For this Vintage Christmas card I used a blue and brown combination with white resist giving this card a lovely old world feel. 1. On your craft matt add Turquoise Gem Versamagic and mist with water. Dip watercolour paper into the wet ink repeatedly. 2. 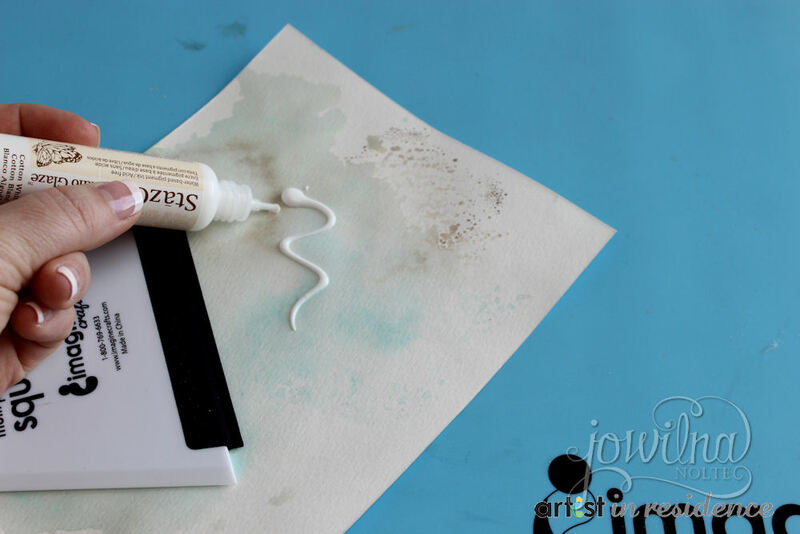 Once dry, add a layer of white StazOn Studio glaze using your squeegee. Leave to dry. 3. 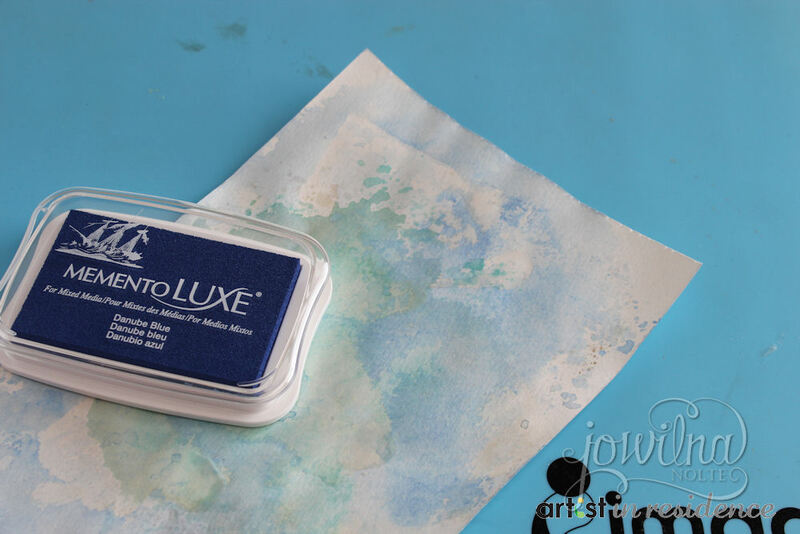 Add a layer of Danube Blue Memento Luxe ink using your craft sheet and water. Leave to dry. 4. 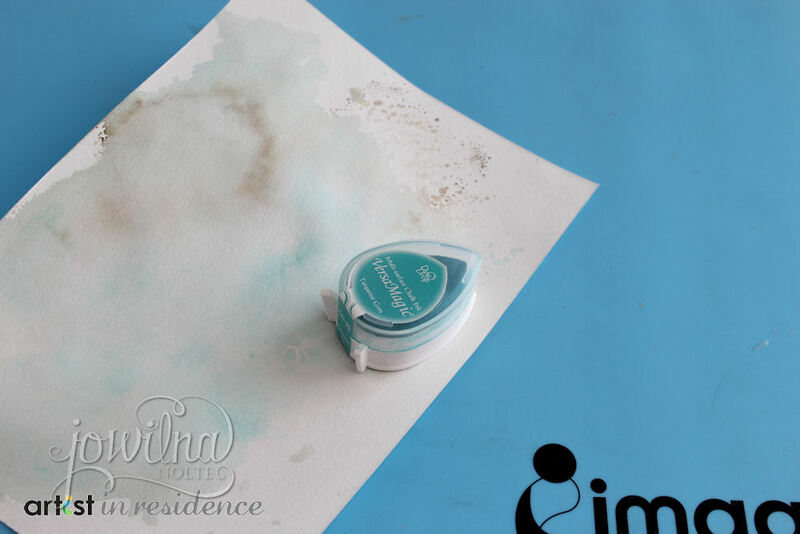 Dip the paper into the ink repeatedly until the white StazOn resist is clearly visible. 5. 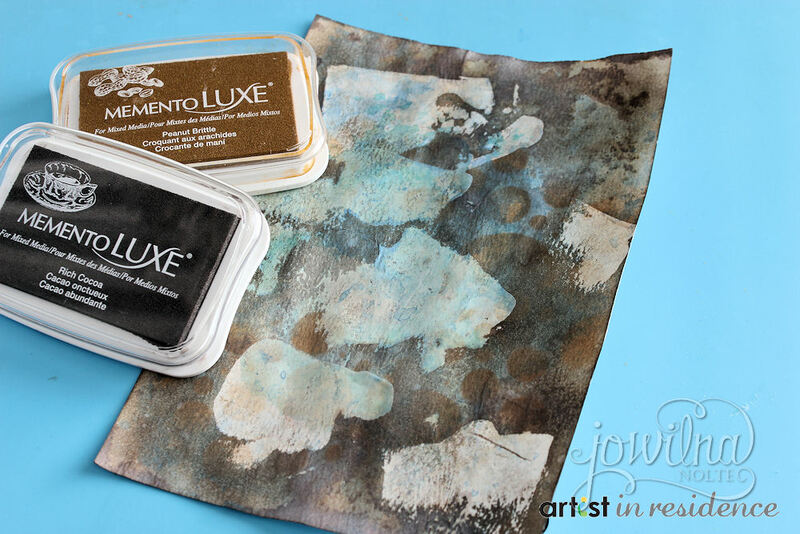 Repeat the dipping process using Peanut Brittle and Rich Cocoa Memento Luxe inks. 6. 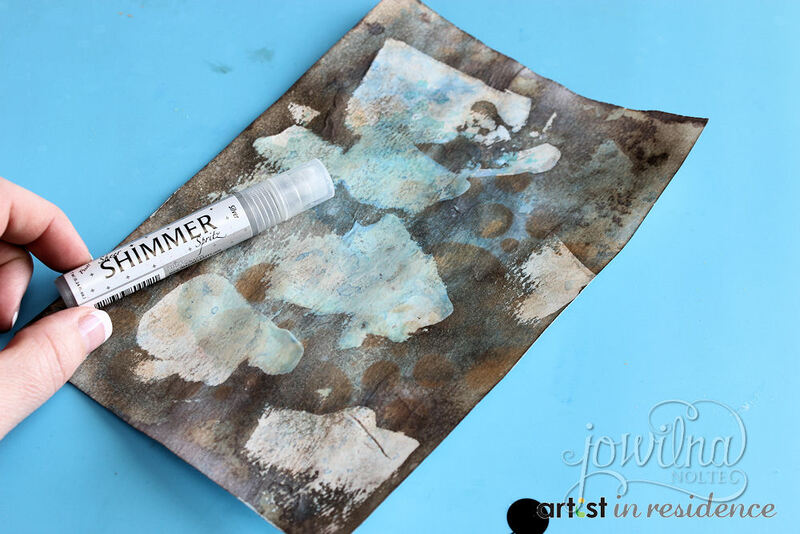 Mist the entire sheet with Silver Shimmer Spritz. Leave to dry. 7. 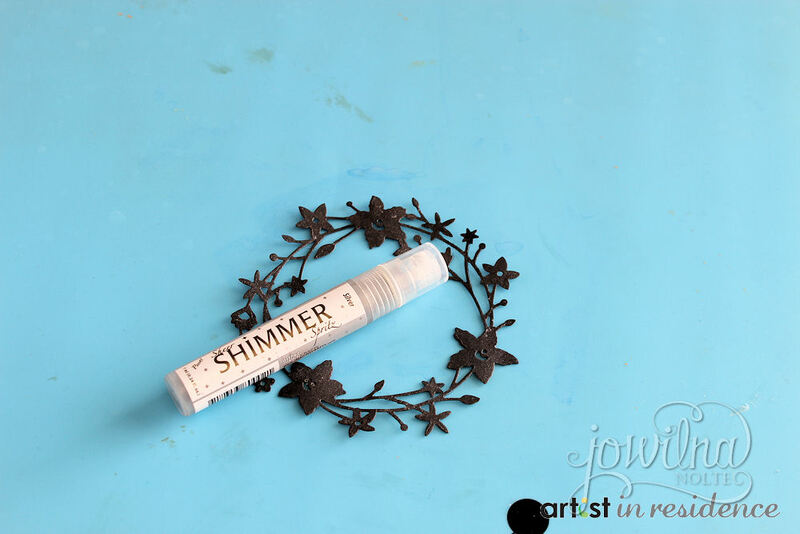 Die-cut wreath out of black cardstock and mist with Silver Shimmer. Leave to dry. 8. 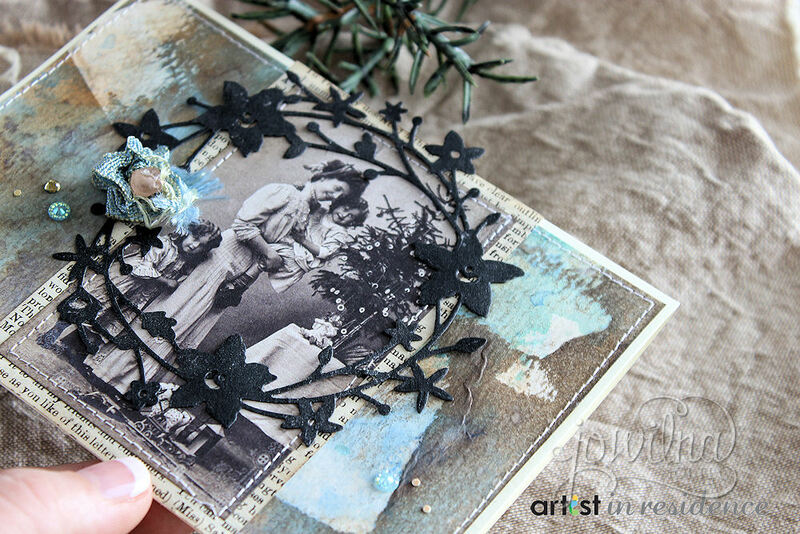 Assemble card using your resist background, die-cut wreath and embellishments. 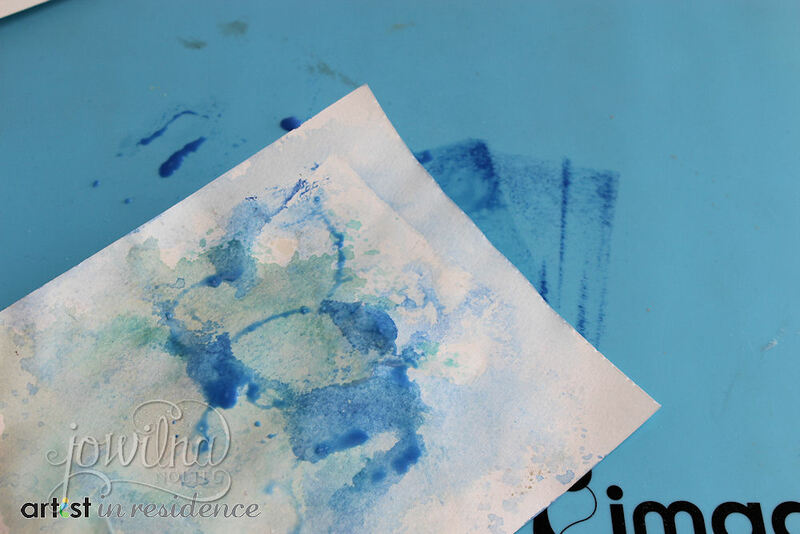 The dark ink colours layered on top of the Turquoise and blue makes the resist really stand out.